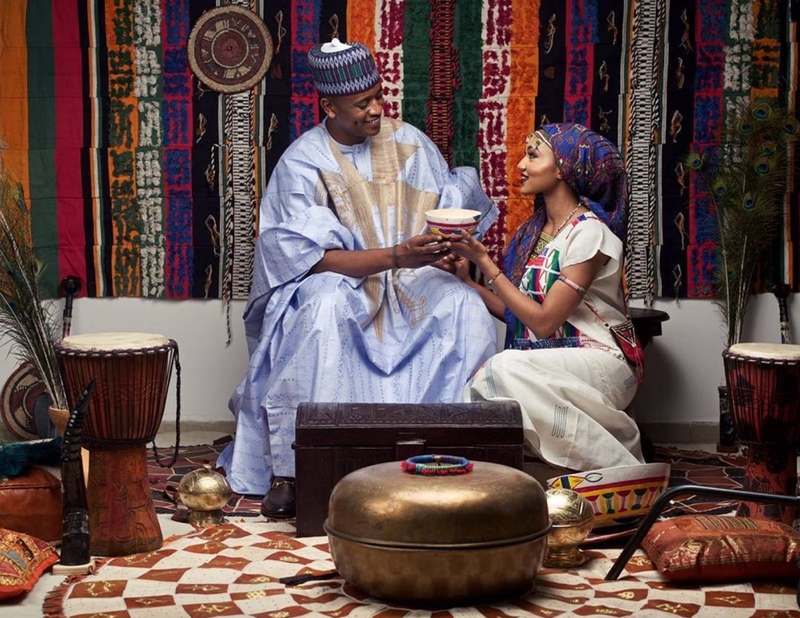 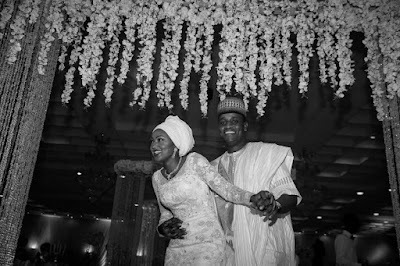 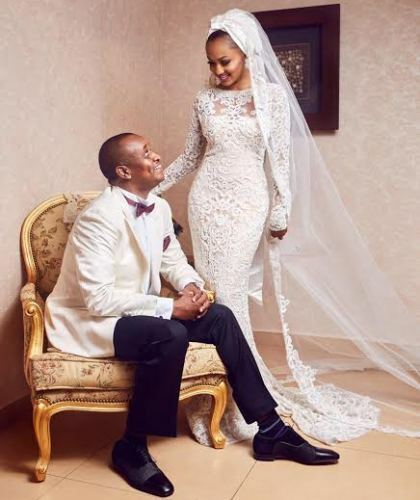 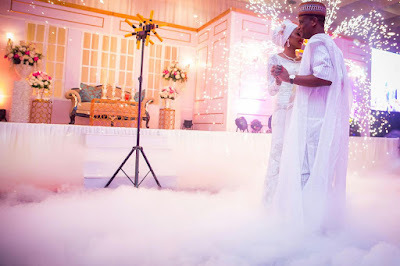 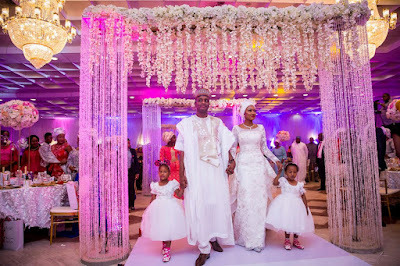 24 of the best Zahra Buhari wedding pictures. 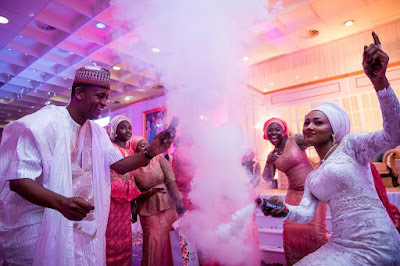 One of the occasions of the year is the Zahra Buhari wedding.The daughter of the president of Nigeria got married to Ahmed indimi in Abuja.The Fathia ceremony took place after the Deputy Chief Imam of the National Mosque, Sheikh Ibrahim Makari, performed the two Jumma’at Prayer. 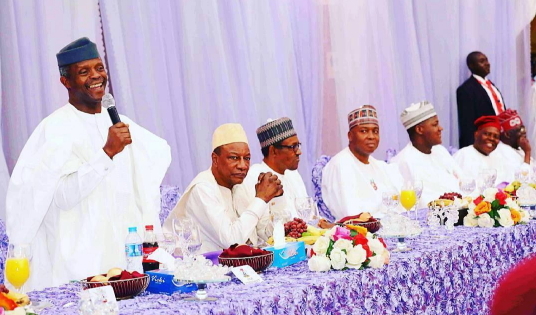 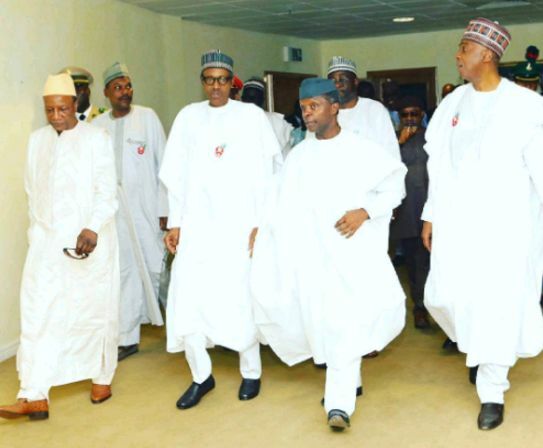 As expected the occasion had the biggest VIP's present.Among those who turned up were, Bola Tinubu, former Vice President Namadi Sambo, Senate President Bukola Saraki,Gov Ambode,Vice President Osinbajo,Femi Otedola and Chief Bisi Akande,just to mention a few. 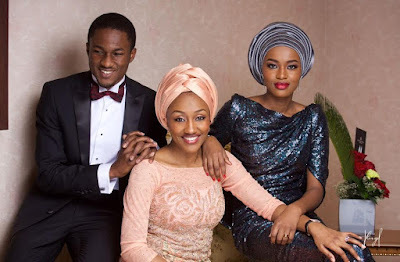 Comedian AY and Ubi Franklin from the Nigerian entertainment industry also showed up to represent the young ones. 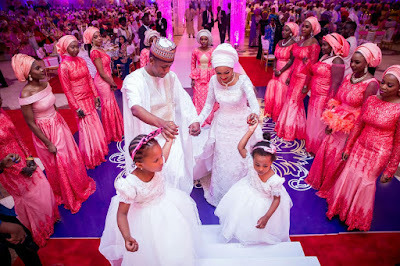 As one would have thought,being the most popular of the president's children,this occasion was going to get a lot of coverage.The wedding pictures are just lovely and below are some of the best moments of Zahra and Ahmed's happy day.